Shaker Square, located in Cleveland at the edge of Shaker Heights, is a diverse and historic neighborhood, begun by the Van Sweringen brothers in 1922. The centerpiece of this vital area is Shaker Square, an octagonal shopping district, filled with restaurants, stores, and services. As interesting today as it was in the 1920s and 1930s, Shaker Square continues to attract residents, shoppers, and artists. The development of the Shaker Square area began in 1922 with the construction of the Moreland Courts apartment buildings on Shaker Boulevard. Otis and Mantis Van Sweringen, owners of the buildings as well as the Terminal Tower downtown at Public Square and Shaker Heights, conceived the area as a European-style district with a cinema, dining, and shopping. They designed Shaker Square after European central markets, most notably Amalienborg Square in Copenhagen. They chose Georgian architecture to blend with the Georgian and Tudor homes being built in neighboring Shaker Heights. The square was completed in 1929 and was immediately popular as an upscale shopping and dining mecca. Today, the square is listed on the National Register of Historic Places. The Shaker Square neighborhood is a one-mile square area, bounded by Cleveland, Shaker Heights, and Cleveland Heights. The area has 11,000 residents, living in 4,000 rental units and 1,500 single and two-family homes. The area abuts the Larchmere Boulevard antique district. Fire - Doug Katz' innovative and relaxed eatery with a heated patio and extensive wine list. Yours Truly - The place for breakfast and a sandwich. During the warmer months, the North Union Farmer's Market sets up at the square every Saturday morning. The Shaker Square hosts a full schedule of events throughout the year. In addition to the farmer's market, there is the June Mosaic festival, which celebrates the neighborhood's diversity and the annual Christmas tree lighting ceremony. 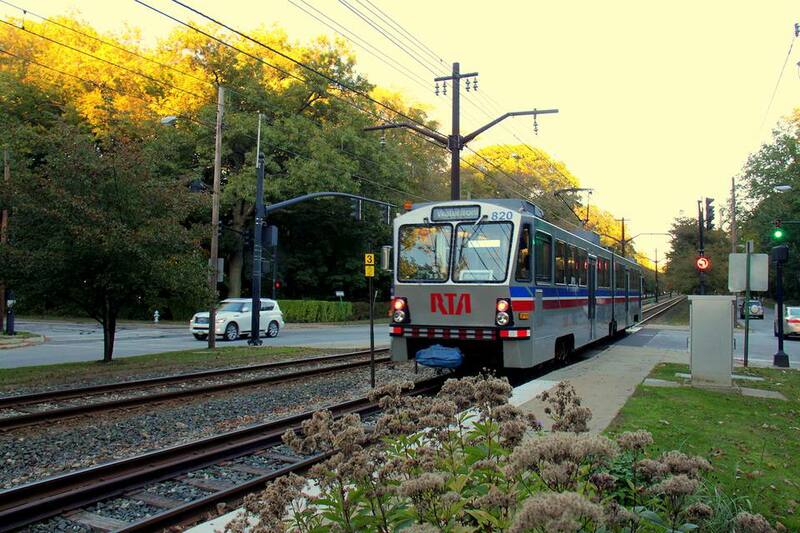 Shaker Square is easily accessible from downtown and Shaker Heights via the RTA rapid trains. There is also an RTA circulator bus which connects Shaker Square with the museums and institutions at University Circle. Parking is available at meters around Shaker Square or at public lots behind each of the square's quadrants. The Shaker Square area has over 4,000 rental units and 1,500 single and two-family homes. Housing ranges from the architecturally wonderful Moreland Courts (now condominium buildings) to the modern Larchmere Court of Larchmere Boulevard. Smaller buildings, many with hardwood floors, built-in cabinets, and high ceilings, line the streets surrounding Shaker Square. It's also one of the few areas of Cleveland where owning a car is optional. Residents of Shaker Square can travel all over town on the rapid and many bus lines at converging there. The Intercontinental Hotel (check rates), at the Cleveland Clinic, is less than a mile away from Shaker Square and offers elegant accommodations as well as a full range of services. Smaller and more intimate is the Glidden House (check rates), at University Circle. It's a charming bed and breakfast inn, created out of a historic mansion.